I’ve been having some fun with Sato lately. I recently flew several MC-30 Scout Frigates with Sato, specifically because they can use Sato to trigger black crits at long range that way. Plus ordnance experts make them pretty much the ideal ship for triggering Sato… But this time I wanted to try something else. Something a little more fun and also to test out some ideas that have been floating around in my head. The key is that ships in this build need to have at least 2 red dice. This way I can almost always get the maximum benefit from Sato’s ability. I have been seeing more and more CR-90s with Turbolaser Reroute Circuits lately and I’m going to try to change up the standard CR-90 loadout. So I wanted to run Enhanced Armament on a CR-90 for my Sato fleet. This way I’ve got 2 red in front, but also have 2 red on each side. The rear arc is still weak with only 1 red, but considering how cheap they are I think I can live with that. Next up I wanted to take a look at the Salvation. A friend of mine runs a Salvation a lot in many of his Sato builds and he always ends up frustrated. You see, on paper, it sounds like a dream. 2, possibly even 3 black dice at long range… crits can count as 3 damage if it’s on a black! You can end up with 11 damage at long range that way if you rolled 2 black crits, a red crit, and used concentrate fire for another black crit. thirteen if you manage to sneak a spinal armament or slaved turrets in there and roll another red crit! In practice however, that ends up almost never happening. First off, a nebulon with Salvation is very predictable. It’s got a narrow front arc and you know exactly which arc it needs to point at you. 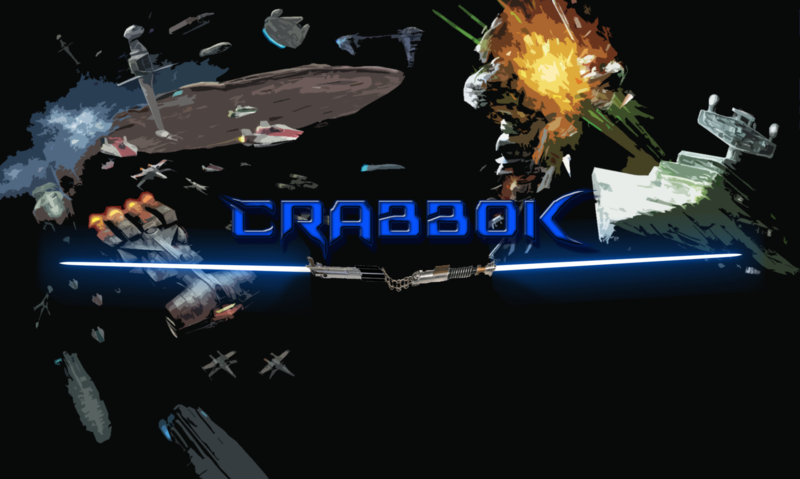 It’s easy for an opponent to dodge it and with it’s weaker side arcs, you may very well NEVER see a front arc shot during a game before the nebulon gets blown up from the side. So I decided to take a risk and have a little fun with a nebulon by giving it enhanced armament and also Salvation. I realize this isn’t exactly min/maxing, but like I said, this is an experiment. The purpose here is two-fold. First off, I am trying to be less predictable; with 2 red dice on my sides, I can turn those into 2 black dice via Sato, and still pose a threat to enemies that dare to approach my sides with the intention of hitting my weak spot. Well, certainly more of a threat than the typical red die that tends to do very little on its own. And secondly, I wanted to fit into the category of having 2 red dice everywhere because of Sato. This does mean that my front shots are going to cap at 4 dice with a concentrate fire, but the trade off is that I can more than make up for it with reliable side shots. Additionally, a second die in my armament means I can still take long range shots that happen to be obstructed – and that’s huge, because it really stinks having an entire shot cancelled because you had to remove that first die, and you don’t even get to spend your concentrate fire. I also wanted to play around with the original MC-80 – a ship I pretty much never use any more. After playing a lot of games for the Empire with the Arquitens, I’m really wanting more big bad side arcs – and while I could just as easily go with Assault Frigates, I wanted even more and I wanted to use the titles for the MC-80. Home One seemed like a possibility – If I’m using Sato to make many of my dice black, I’ll REALLY need those accuracies from time to time… but I decided that I instead wanted to try Defiance because I am trying to set new records for the number of black dice I can potentially throw at long range! I also tossed on Enhanced Armament onto an MC-80 Assault Cruiser, for a battery armament which includes 5 red dice! With concentrate fire, Sato, and Defiance, I could potentially throw 4 black dice at long range, plus 3 red! But what if they are blank? No problem – lets add leading shots. Now if my first few dice are blank, I simply use defiance to add a blue, which can then be spent to fix all the bad dice. Blue dice! Leading shots got me thinking about blue dice. You see, everyone tends to think Sato is a black dice machine – but blue is totally an option! Weather you need an accuracy for that flotilla, or just want to ensure you get no blanks, blue dice can be used or even a combination of black and blue. So I decided I’d add a second CR-90 and make one of them Dodonna’s Pride! Face up Damage at Long Range is now easier than ever! And since I’m adding titles my first CR-90 gets a Jaina’s Light, because why not? For squadrons I went with started with Tycho because he’s perfect for Sato list. I also added Shara Bey, because she’s easily the 2nd best choice. Also threw in a few Z-95s just because they are cheap and I want a modest initiative bid. For Objectives I went with Opening Salvo, Planetary Ion Cannon, and Solar Corona. Are Smaller Expansion Waves a Good Thing? 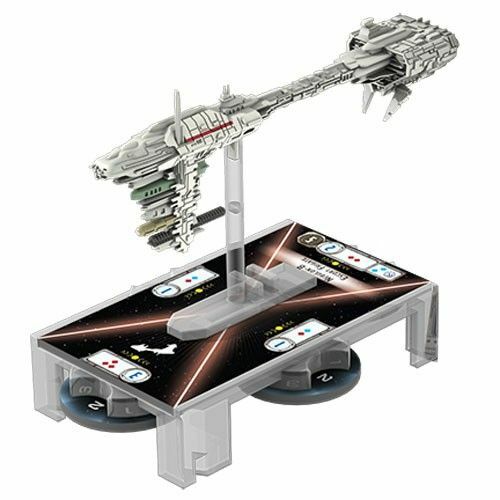 Since the latest waves of X-Wing and Armada have recently been revealed, I took notice that there seems to be a newer trend with FFG’s waves, in that they are getting smaller. X-Wing’s Wave 11 now has only 3 ships, and I don’t expect that this time it will get augmented by two “Mystery” ships, because there is no Summer Movie coming out for Star Wars, and it’s FAR too early for any Episode 8 ships to magically show up and be an addition to the wave. No folks, it looks like this wave is only 3 ships. 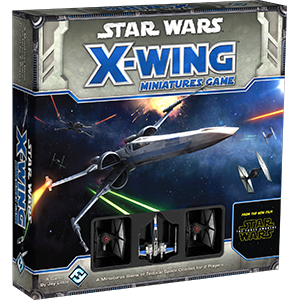 Now sure, there are supplemental releases for X-Wing – there always have been. 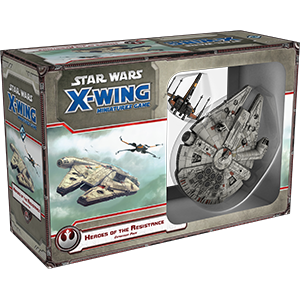 We have a new Epic ship for Scum on the boat, and I’m sure there will eventually be an X-Wing fix or E-Wing fix… or even a Starviper fix… but that likely won’t show up until closer to the end of the year. For now it’s just 3 ships. And Armada has a small wave as well While it may be technically a 3-ship release as well, because onf of the expansions has two copies of the same ship, it’s still just a 2-expansion wave. This happened a year ago, with Armada’s Wave 3, which was just the two flotillas. I remember being really upset, as was a good portion of the community. It ended up working out though, because Wave 4 was also a 2 ship release and they ended up coming out on the same day, which made Waves 3 and 4 virtually the same, 4-ship wave. 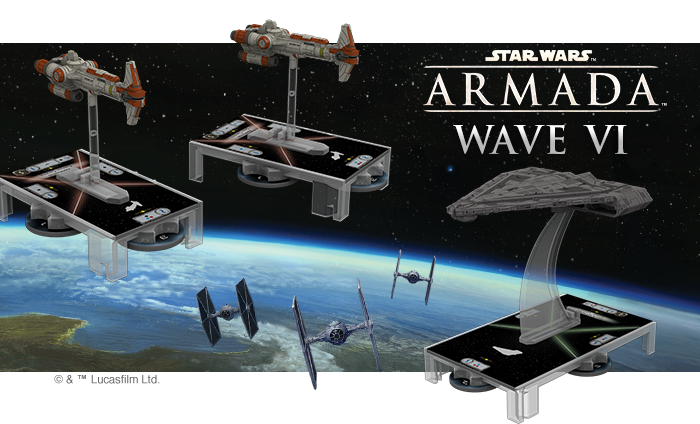 But this time I seriously suspect that Wave 6 for Armada will be the only thing we get for awhile. And I’m actually fine with it. 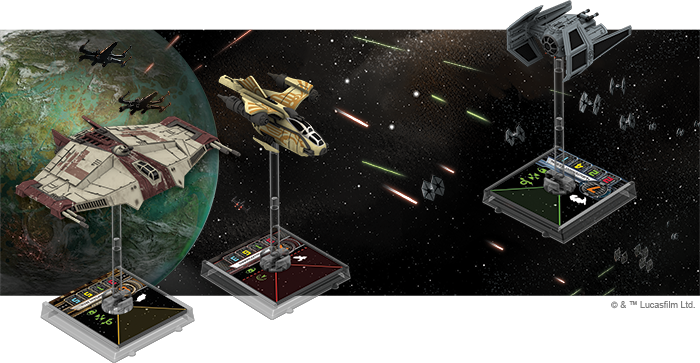 Here is a pack chock full of re-released ships. And before you say it… Yes I know that this is actually a new sculpt for the falcon. The Dish is new, the engines are better… it is actually a superior model to the old one. However to the layman, it’s still just another falcon. And the T-70 X-Wing, while having a fresh paint job, was seriously not needed at all. Well, it WAS needed, but should have come out in the Force Awakens Core Set IMO. 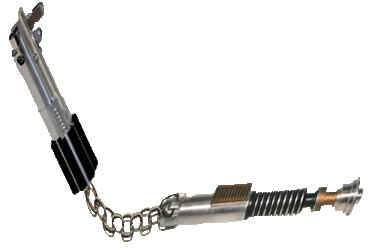 This marks the third separate release of a T-70 X-Wing. And the worst part is – we’ve only had ONE movie with T-70s! God forbid there are new T-70 pilots in Episode 8! My point is – if FFG gives us every canon ship all at once, it uses up all the design space and we end up having nothing left for next year – and as a result we end up getting reprints. Now I realize that might be fine with some people and maybe this is just a matter of opinion, but I would rather a smaller wave with more time put into it, to maximize the product’s impact the FIRST time around. If there was more time allotted to this release, a lot of design goofs could have been prevented. 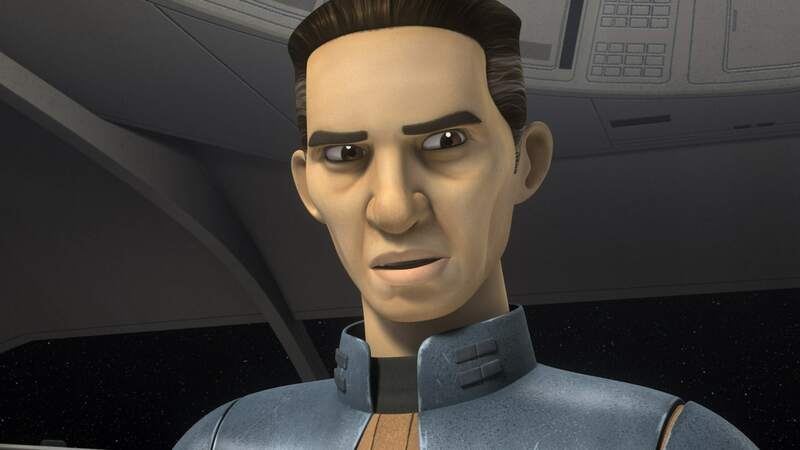 First off, there was no reason to make Poe a pilot skill 8, since after the movie came out he was known to be the BEST pilot in the Resistance and it’s borderline offensive to make him anything less than a 9. Additionally, none of the other pilots in here have names. I think it cheapens the game a bit to have cards like “Red Ace” in place of what should have been Snap Wexley, Jess Pava, and Ello Asty. These pilots ended up being added to the game much later, over other T-70 releases, but wouldn’t it have been more proper to have them released sooner? The problem is even worse for capital ships, in that there just aren’t very many available, and if Armada wants to survive and have longevity, it is taking the right steps with only 2 ships per wave. I had expected the Quasar to come out, and rightly so, but right now they are already almost out of canon ships to release. You can make arguments for a few Imperials Ships – like the Venator, which supposedly is still in limited service around the time on Episode 4, but that begins to cross that line of Original Triloigy towards the Clone Wars era – and for some legal reasons, FFG can’t do a Clone Wars era timeline, so if they want something from that era they have to find ways of pulling it into the Galactic Civil War timeline. I don’t know the full details but it’s messy. Either way, X-Wing has a TON of content right now, and even Armada has grown enough to be diverse and have a strong amount of ships. Neither of these games NEEDS a huge wave in order to maintain interest. Just a steady stream of updates, perhaps twice a year is all I need. Smaller waves will ensure the games stay healthy for years to come. There is so much talk of Super Star Destroyers coming to Armada these days. I’ve been a proponent of seeing the executor come to the game for a long time, and as such I’ve been involved in many of these discussions. But even now so many arguments tend to repeat themselves and it becomes tiresome to repeat the same talking points over and over. Yup. It sure is. It’s massive. Fortunately Armada has a sliding scale, which has already accounted for the fact that the ISD cannot fit a CR-90 in it’s hangar bay. It had to have a sliding scale. 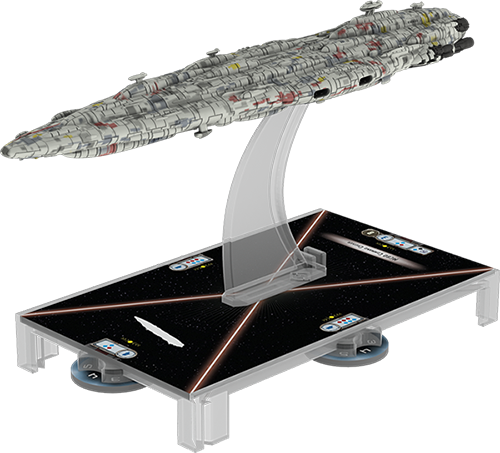 We all know that at some point we’ll probably see the “Finalizer”, the First Order’s Star Destroyer, which is DOUBLE the size of an ISD – yet nobody expect that it will actually be double the size on the board. Honestly it would only need to be a little larger than the Raider from X-Wing, so probably around 2 feet in length, to really stand out and look ominous. At that length it would still dwarf every other ship, and entire fleets would tremble in its presence. And don’t forget that perspective is a real thing in Star Wars battles. 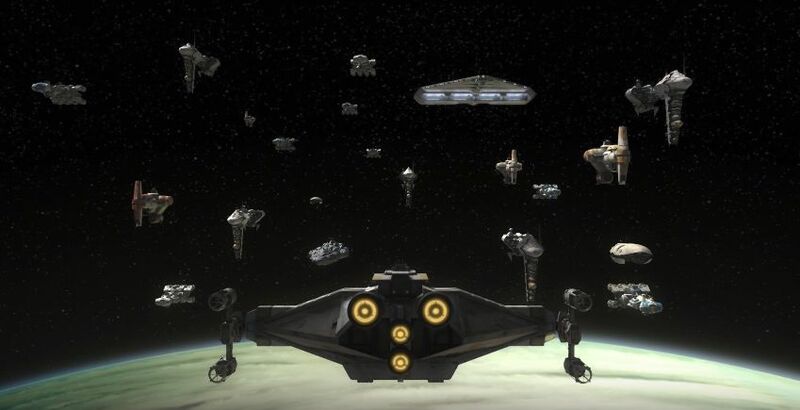 Consider the end of the Rebels epsode “Secret Cargo”, where we see the entire rebel fleet jump in at Dantooine. So many of these ships are all over the place. There is an MC-80, (Possibly Home One) which looks smaller than the Quasar carrier. This is because space is in 3D and allows a lot of forgiveness in terms of ships appearing out of scale. And this is the case in just about every space battle we see. A Super Star Destroyer doesn’t have to be 6 feet long to work. Two feet or less will still look amazing. Well it certainly COULD be. But you have to consider that power in this game has a direct correlation to point cost. 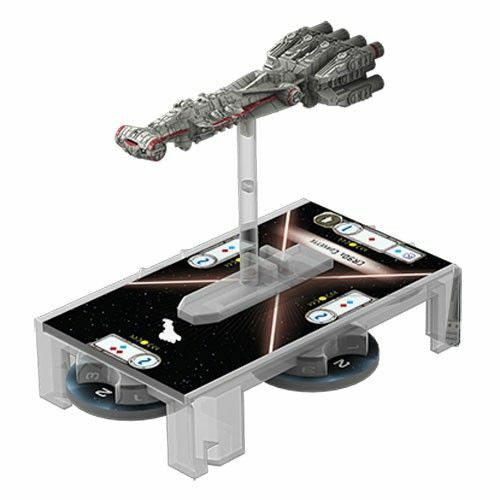 Suppose a ship has 10 red attack dice in a single arc, but costs 350 points? Power doesn’t always make a ship worthwhile. As any veteran of the game will tell you, a ship’s overall worth is determined by several factors, including maneuverability, upgrades, defensive options, firing arcs, and even the ability to combo with other ships in your fleet, besides simply the sum of battery armament. And suppose there were multiple ship cards for it to reflect various capabilities? A damaged Super Star Destroyer might only cost 150 points, and may have less of it’s batteries available to fire. This is demonstrably false. In the recent Aftermath trilogy of books by Chuck Wendig, there are three different Executor Class Dreadnaughts mentioned by name (They refer to Super Star Destroyers by the more appropriately generic term “Dreadnaught” fairly often). The Executor of course, plus the Ravager, which is featured heavily in the book, and whose remains can be seen covering the desert in Episode 7. Additionally, there is the Annihilator. 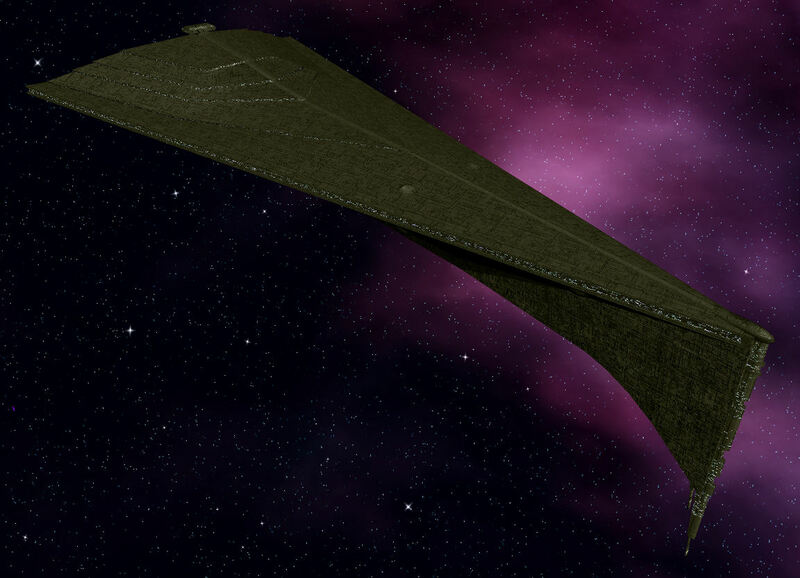 The Annihilator was stolen from the Empire by pirates, during the chaos that ensued after the fall of the Emperor. These pirates happened to be less of the evil type and more of the free-spirited rebel type that you might associate with a young Han Solo or Lando Calrissian; trying to live life on their own terms away from the rule of the Empire or the New Republic. They were generally kind spirited and even liberated people and allowed them to join up. I would consider this group relatively “Good” and as such, they would likely fight against the empire in a fight, so I would argue that you could field the Annihilator in a battle against the Executor or Ravager. And let’s not forget about the Viscount! This mighty Mon Calamari creation is still likely to be pulled out of Legends and placed back into canon at some point soon. It would be an amazing option for the rebels not only because of the size, but also it LOOKS like it belongs in Star Wars, and that is one of the driving forces behind what comes back into canon and what stays lost in Legends like the dreaded Suncrusher and the Christmas Special. The Corellian Conflict served two purposes as far as I’m concerned. It tested the waters for how interested players are in a campaign, and it also gave a trial run into players running 500 point games. So far both have been a moderate success, with the greater in my opinion, being the larger games. Both of these aspects can work with a Super Star Destroyer release. 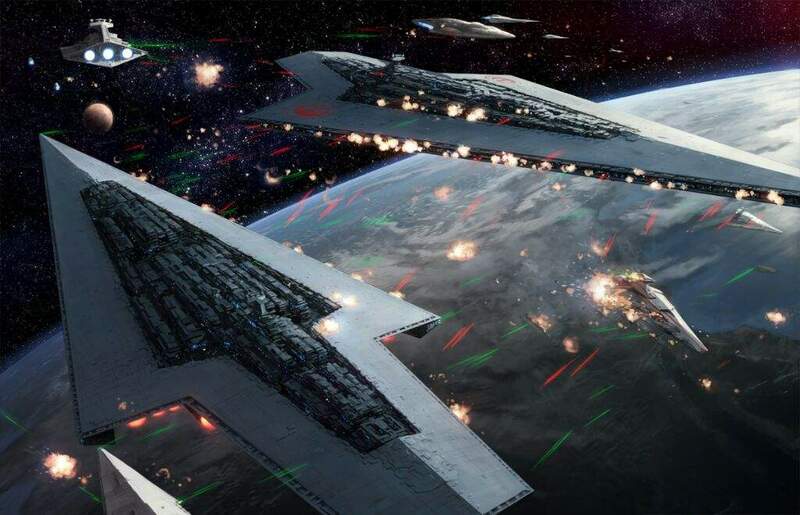 Imagine a campaign based on the rebels attacking a shipyard to slow or halt construction on a super star destroyer. Suppose it comes with several different versions of the ship, including the various stages of construction. An early “Under Construction” model might only cost 40 points, and may have very little operational weaponry. And even if a full constructed Executor-Class Super Star Destroyer costs upwards of 300 points, we’ve already seen the point limit work at 500 points. They may even extend the official tournament cost to 500. Personally I’d love that. 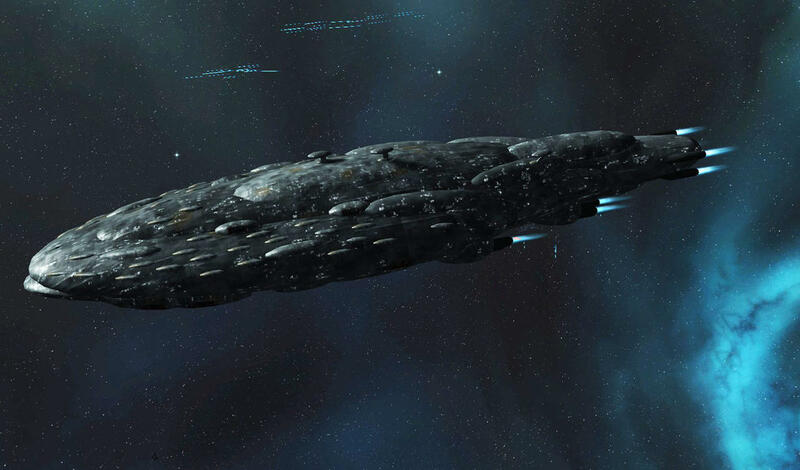 And with the recent re-canonization of the Eclipse, we are destined to see Super Star Destroyers show up in Armada sooner rather than later. I predict we will see an announcement regarding them before the end of 2017. They are gorgeous, they are iconic, and frankly… where ELSE are they going to show up?